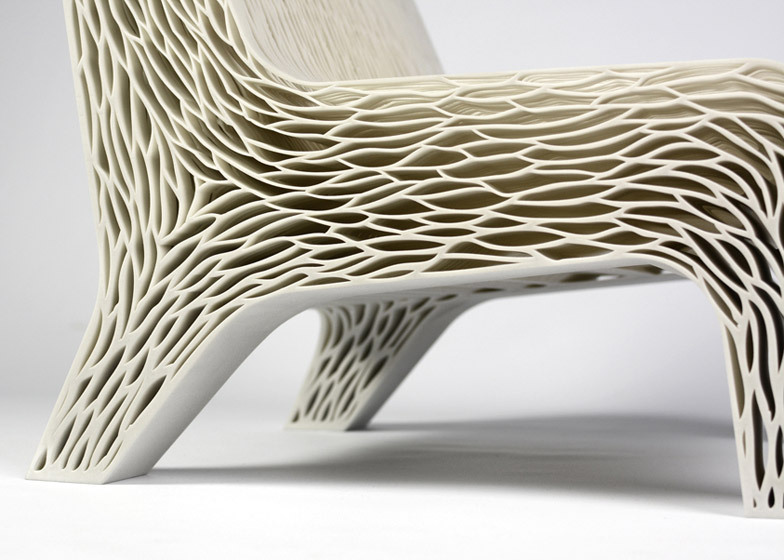 This week’s case study is a 3D printed chair inspired by the structures of plant cells. The influence of this biomimetic design goes beyond the aesthetic appeal of natural patterns and forms, and actually eliminates the need for upholstery, framing, and adhesives. This is not a crazy coincidence. Often, when we look to nature to teach us how to design, a domino effect of unforeseen positive effects arises. Natural systems are efficient and sustainable by…nature. Watch this TED Talk by Michael Pawlyn to see more examples of this catalyst effect. Not only does he have a great British accent…he also shows some quick sketching that can lead to ideas about biomimicry in industrial design!